As we approach the two-decade mark on the Chicago Housing Authority (CHA)’s “Plan for Transformation,” advocates have varying views on the best course of action moving forward. But almost all agree that eliminating the stigma surrounding public and affordable housing lies at the heart of substantive change in one of the most segregated large cities in the country. 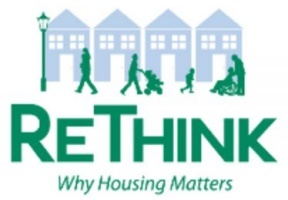 Working toward eliminating that stigma, the ReThink: Why Housing Matters initiative, funded and supported by HAI Group, will be holding a public rally on July 30 from 11 am to 1 pm in the James R. Thompson Center Plaza. Public housing serves approximately 2.2 million people across the United States, but the need is far greater; more than half a million individuals are on waiting lists. In Chicago, more than a quarter of the 17,000 households displaced from public housing projects between 1999 and 2011 are currently living without a government subsidy of any kind. To learn more about HAI Group’s “ReThink: Why Housing Matters” public awareness campaign, and watch the Storyteller videos and Our Journey Home documentary, visit www.rethinkhousing.org or www.youtube.com/ReThinkHousing.